The Chicago Bulls will return to St. Louis, Mo. in a preseason game against the Minnesota Timberwolves on Friday, Oct. 24 at 7.00 p.m. (CT) at the Scottrade Center. Tickets go on sale Thursday, August 28 at 10:00 a.m. (CT) at the Ford Box Office at Scottrade Center, Ticketmaster.com, Ticketmaster retail outlets or charge by phone 1-800-745-3000. Ticket prices are $253, $119, $109, $99, $89, $79, $69, $59, $49, $39, $29 and $19. (A $3 facility fee is included in the price of all tickets). Ticket prices are subject to change. Additional Ticketmaster fees may apply. For group tickets, call 314-622-5454. 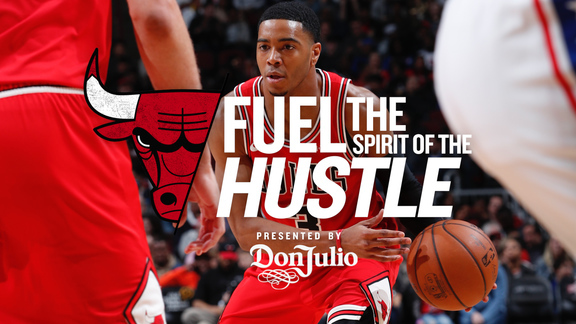 Bulls tickets on sale Fri., Sept. 26 at 11 a.m.